The team here at O’Neill Communications is excited to annouce that the firm has been nationally recognized for its work in web and content development! We are proud of our team and equally thrilled for our clients who allow us to tell their brand story through digital and traditional communication channels. O’Neill was tasked to develop a site providing critical public policy and program information to members of the intellectual and other developmental disabilities (I/DD) community and the general public on topics related to increasing inclusivity with an interactive experience. 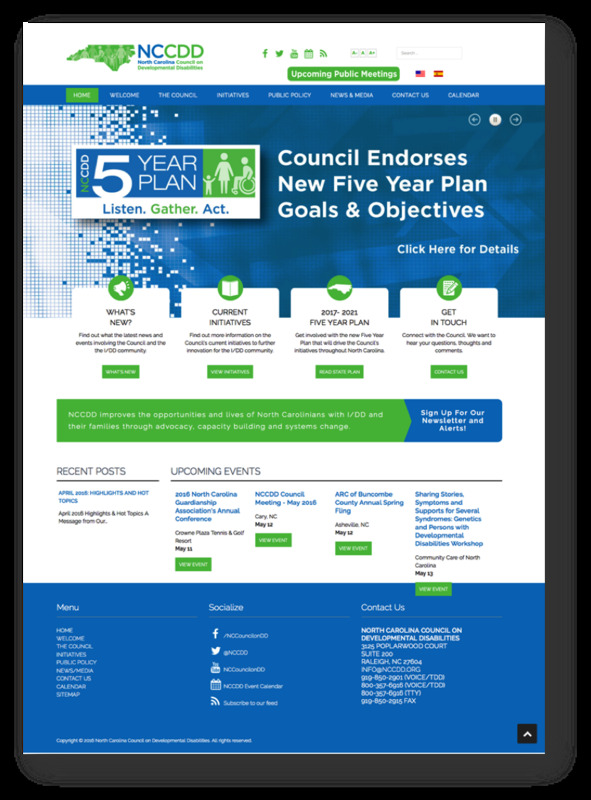 On the site, users can sign-up for newsletters; browse the calendar of events; review the list of upcoming public meetings; and access the agendas and minutes of meetings. The website’s mobile-friendly design allows users to easily navigate key sections and keep up-to-date on advocacy opportunities and community programs that positively impact the lives of people with disabilities. To better serve the state’s diverse population, the NCCDD site is Section 508 compliant, making it accessible to assistive technology such as readers and magnifiers for those with visual impairments or other disabilities. The site is also available in Spanish. 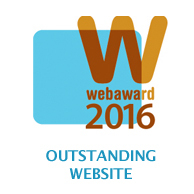 The website was judged on design, innovation, content, technology, interactivity, copywriting and ease of use. Out of an overall score of 70, the NCCDD website received a 65.5, outscoring the industry standard of 49 points. The Georgia Council on Developmental Disabilities (GCDD) envisions a state in which all persons are included in all facets of community life, have choices while exercising control over their lives and are encourage to achieve their full potential. The annual report showed how the organization’s leaders and volunteers are working toward making that vision a reality. The content for the report was selected based on the strategic value it had in promoting and encouraging buy-in for GCDD’s vision. By focusing on and highlighting the great people who contribute to the success of the organization (versus just numbers and statistics), O’Neill Communications created a piece that readers couldn’t wait to absorb every word. The annual report is also enhanced with a takeaway. For the 2014 annual report, the organization provided commemorative pins for continue brand awareness for supporters and recipients alike. The Annual Report weaves exciting content and engaging photos with the last financial information to create a print piece that is valuable, educating and entertaining while still building brand awareness for the organization. O’Neill Communications is an award-winning branding, creative and communications firm based in Atlanta, Georgia serving growth-oriented companies and organizations that are seeking to engage and thrive in the marketplace. The firm provides strategic brand strategies, creative design and development and energetic digital and traditional communications campaigns.